Steve Jobs (b. Steven Paul Jobs February 24, 1955 – October 5, 2011) was an American inventor and entrepreneur who served as the co-founder, CEO and chairman of Apple Inc. He is widely credited as a chief pioneer in the personal computer revolution. Jobs was also a leader in the public introduction of the LaserWriter, one of the original laser printers. At Apple, Jobs was in charge of development for products such as iPhone, iPod, iTunes, iMac and iPad. Additionally, he oversaw the company’s services side, which featured entities including the iTunes store, Apple Retail Stores and the App Store. Jobs was adopted at birth by Paul and Clara Jobs. When Steve was five, the Jobs family moved from San Francisco to the nearby city of Mountain View. The couple later would adopt a daughter they named Patty. Paul Jobs was employed as a carpenter and mechanic for much of his life, and he taught Steve how to work with electronics such as televisions and radios. This early learning experience inspired Steve to pursue a career in technology. At Homestead High School in Cupertino, California, Steve Jobs became friends with Bill Fernandez. Fernandez then introduced Jobs to Steve Wozniak, his eventual partner in Apple. Their original model was named the Cream Soda Computer due to their love of the beverage. After he graduated high school in 1972, Jobs entered Reed College in Portland, Oregon. He would drop out after just six months. Jobs spent the next year and a half taking creative classes, including a calligraphy course. During this time, he also audited classes at Reed while living in friends’ dorm rooms. In 1976, Jobs and Steve Wozniak developed their own business, named Apple Computer Company in tribute to a summer when Jobs had spent most of his time picked apples. They received partial funding for this venture from a former Intel employee, Mike Markkula. Steve Jobs is credited as an executive producer for the 1995 major motion picture Toy Story. Through Apple, Steve Jobs was widely heralded as an important pioneer in the world of personal computers. He has also held tremendous influence on the computer and consumer electronics fields. Jobs used the mouse-driven graphical user interface of Xerox PARC to create the Apple Lisa and the Macintosh. When Time magazine selected the computer as the “Machine of the Year” in 1982, a profile of Steve Jobs was included as a sidebar. Steve Jobs departed Apple for a brief period in 1985 to found his own computer development company, NeXT. He acquired the computer graphics department of Lucasfilm the next year. Lucasfilm was eventually spun off as Pixar. Steve Jobs eventually returned to a leadership role at Apple, first becoming an advisor and then accepting a role as interim CEO. In 1996, NeXT released WebObjects, which served as a framework for Web application development. NeXT was then acquired by Apple Inc. in 1997. Later, WebObjects was utilized as the basis of MobileMe services, the Apple Store and the iTunes store. Steve Jobs was honored by President Ronald Reagan with the National Medal of Technology in 1985. Jobs served as a board member at Gap Inc. from 1999 until 2002. The success of Apple’s services and products led to many years of excellent financial returns, and to Apple being named as the world’s most lucrative publicly traded company in 2011. The company’s remarkable turnaround is considered by many commentators as one of the most stunning reversals in business history. In 2006, Jobs joined the board of directors for The Walt Disney Company when Disney acquired Pixar. Steve Jobs also co-founded and acted as chief executive of Pixar Animation Studios. He acted as CEO until Disney purchased Pixar in 2006. Steve Jobs discovered that he had a pancreas neuroendocrine tumor in 2003. Though doctors treated the issue, he was forced to undergo a liver transplant in 2009. 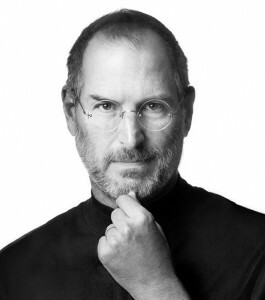 After taking a medical leave for the majority of 2011, Steve Jobs resigned from his post in August. He died of respiratory arrest as a result of his metastatic tumor on October 5 of that year.